Some eastern Ontario beekeepers aren’t feeling too buzzed about their honey crop, with close to a third reporting yields about half the size of last year’s. Vichos’s honey crop was about half as big as normal, he said, putting him in the unhappy company of many others in the province. A survey by the Ontario Beekeepers Association released last week said 57 per cent of Ontario’s beekeepers reported honey production for 2017 was down by half or more than half from last year. 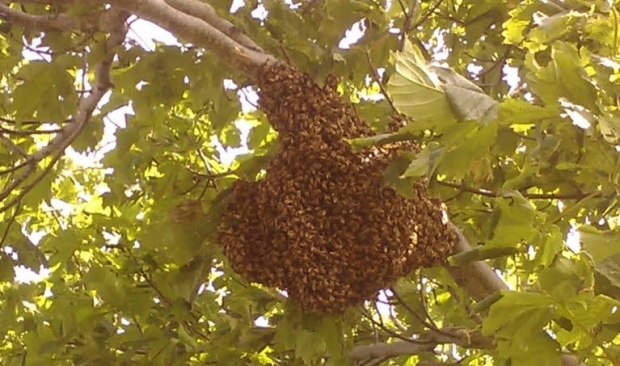 Both small and large beekeeping operations were affected. Beekeepers in Niagara and northwest Ontario seem to have been hit hardest, with the highest percentage of beekeepers reporting crops a quarter the size of the previous year’s or smaller. In eastern Ontario, more than 40 per cent of producers reported a crop that was as big or bigger than last year’s, but nearly 30 per cent said theirs was cut in half or worse. It turns out bees are a lot like people in their disinclination to venture out in the cold and damp. If bees leave the hive less often to collect nectar, Vichos said, they produce less honey overall. Constant rain also washes a lot of nectar from the plants, so there’s less for the bees to take. Stressed-out bees cooped up in the hive while it’s rainy are also more likely to bolt when the weather turns nice, according to Paul Lacelle, a beekeeper in Mississippi Mills whose honey production this year was about three-quarters of what’s normal. A “swarm” occurs when the queen and about half the population of the hive departs, never to return. It takes time for the population to replenish itself and the hive produces less honey in the meantime. Wet weather also affects breeding habits, Lacelle said. “New queens go out and mate. And if the weather is bad they usually don’t go out,” Lacelle said. In Peter Vichos’s hives, the bees feasted this fall on a “buffet” of sugar water, to supplement the limited honey they stored up for the winter. The warm weather in September and October kept them more active than usual, Vichos said, so they were able to take in more of the replacement food. Vichos’s diminished honey crop this year follows one in 2016 that was also smaller than normal. In that case, it was extremely dry weather that cut the yield by about a quarter, Vichos said, because in dry weather plants produce less nectar for the bees. His hope is that the smaller honey crops he’s hearing about around the country will mean producers can charge higher prices, offsetting their losses to some degree. Vichos is also hoping for a winter that’s not too long and cold, and weather next year that’s an improvement over the last two. 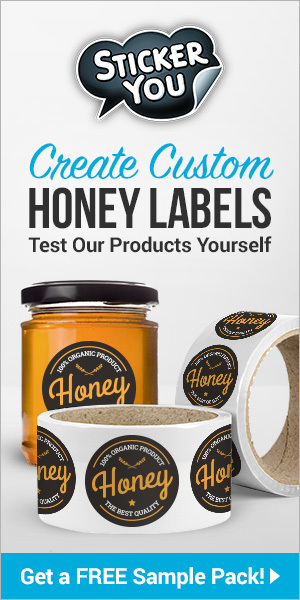 Previous articleCATCH THE BUZZ – Same Plants, Same Honey … So Why Does New Zealand Want To Trademark Manuka? Next articleCATCH THE BUZZ – In June 2014, Rwanda Was Among Third Party Countries Accredited To Export Honey To The European Union Following A Rigorous Process By An EU Accredited Lab. 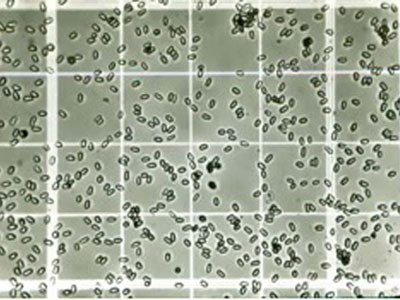 CATCH THE BUZZ – A Mobile Phone Microscope Is Good Enough To Find Nosema Spores In The Field.